Your lashes will look thicker, longer and more defined while being fortified and conditioned with the ultra nourishing undercoat. 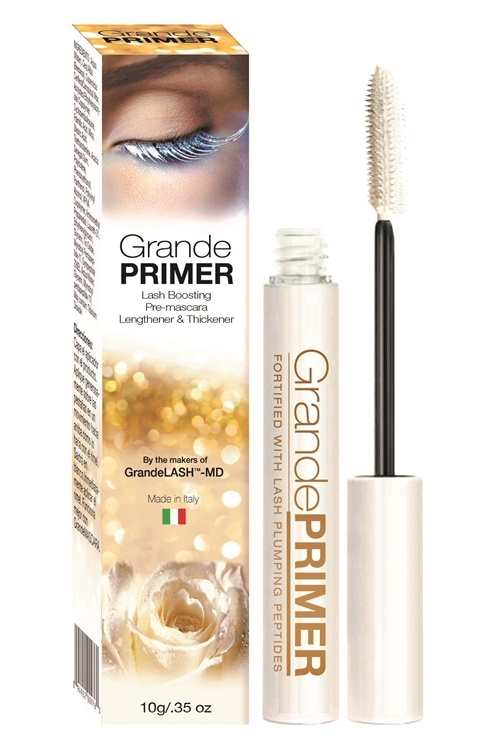 Grande PRIMER is a lash boosting pre-mascara lengthen & thickener. I love this product. It goes on smooth like white mascara, not chalky and full of fibers.